This guide has been written to help you plan your perfect family holiday. The unique selling point of the island is that it has 365 beaches, one for every day of the year. 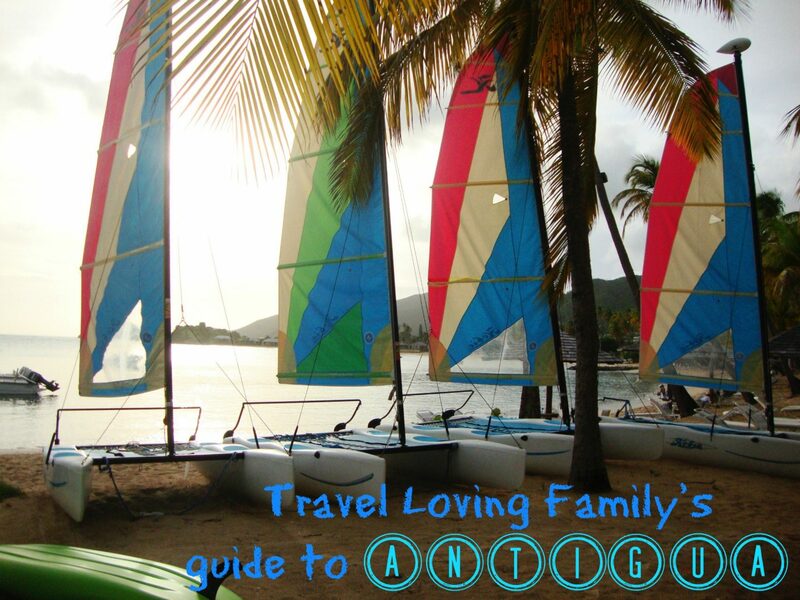 What makes Antigua so special? In addition to picture perfect beaches, steady trade winds have made Antigua one of the most popular sailing destinations in the world with many major sailing events taking place annually. The small capital of St John’s, home to the cruise ship terminal, has some lovely boutique shops which sell unique clothes and local arts and crafts. There are also several independent quirky bars in St. John's if shopping is not of interest! The island has several ‘must see’ attractions including the popular Nelson’s Dockyard National Park, located in the historic English Harbour. It is the only surviving Georgian naval dockyard in the world and today consists of several restored buildings and a museum which stand as a memorial to Admiral Horatio Nelson and the Royal Navy. I can also thoroughly recommend booking a helicopter flight over Monserrat. The small island just off the Antigua coast was destroyed by eruptions of the Soufrière Hills Volcano in 1995. I vividly remember everyone onboard our helicopter being chatty and excitable as our helicopter flew over Antigua and then there was silence as we saw the devastation on Monserrat below. Today a new capital is slowly being rebuilt in the safe zone north of the island. Other excursions I enjoyed during frequent calls into Antigua include a mangrove kayaking tour, snorkeling with stingrays, a deep-sea fishing excursion, a jeep safari and quad biking tour. Carlisle Bay and Curtain Bluff located on the south coast of Antigua offers exceptional family facilities including kids clubs, water sports and a variety of dining options. Carlisle Bay – We stayed in a luxurious two-bedroom beach terrace suite which had direct beach access. This worked exceptional well for us as Charlie, who was two at the time, still napped for a couple of hours every afternoon. After a full morning on the beach or playing in the pool we would enjoy a fresh delicious lunch at one of the restaurants and then put him down for a nap. We were then free to enjoy a couple of blissful hours relaxing on our private terrace area or on the beach. Another huge advantage of staying at Carlisle Bay was they allow infants from as young as six months to attend the kids club. (There is a charge for infants aged 6 months – two years). Whilst Charlie played with his new friends in the well equipped and purpose-built kids club, Richard and I enjoyed some of the water sports on offer. (For families with young babies this is worth keeping in mind as many kids clubs in the Caribbean do not allow children under the age of three). Curtain Bluff – Located just along the coast from Carlisle Bay is Curtain Bluff. The all-inclusive luxury resort sits on a rocky cliff between two stunning beaches, a calm beach for watersports and swimming and a surf beach. The resort proudly attracts an 80% client return rate and it was easy to see why as the attention to detail and the facilities on offer were exceptional. We took full advantage of the complimentary water sports including a ride on a paddle boat and a snorkeling trip to a nearby reef (Cade’s Reef). Richard also enjoyed a scuba diving excursion and a deep-sea fishing trip. The highlight of his holiday was dining on the fish he had caught during a morning fishing expedition. As he and another guest had caught so much, other guests were also served the ‘catch of the day’ which he was jolly pleased with himself about! Do not miss the weekly BBQ party at Shirley Heights Lookout on Sunday evening. The food is delicious (particularly the jerk chicken! ), the steel drum music is contagious and the sun setting over the English Harbour from a view-point of 490ft above sea level is truly spectacular! Visit Stingray City to snorkel with stingrays (and learn how to do the stingray shuffle!) This was always our most popular excursion in Antigua when I worked on the cruise ships, particularly with families as the water is fairly shallow and so even young children can enjoy the experience.